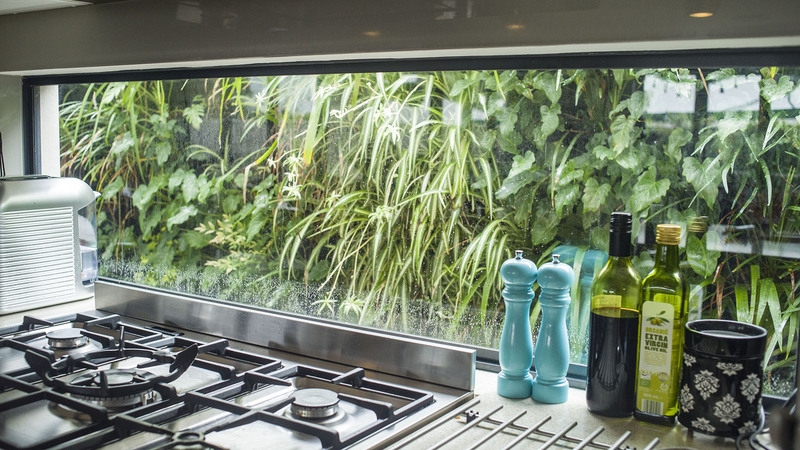 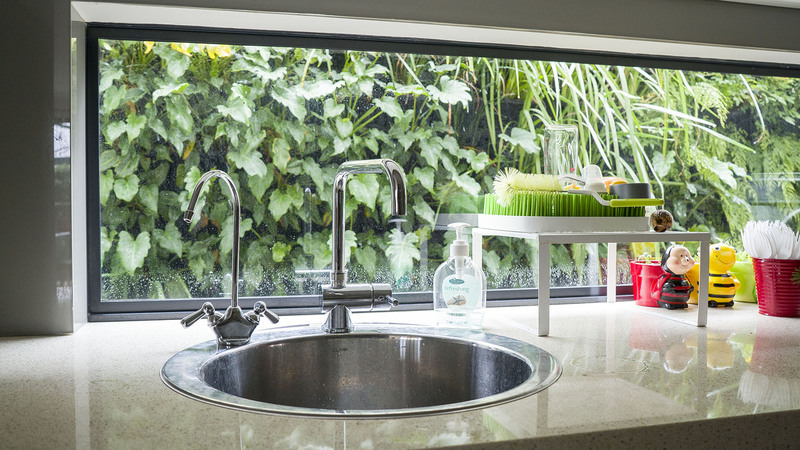 Kitchen window gets the vertical garden look. 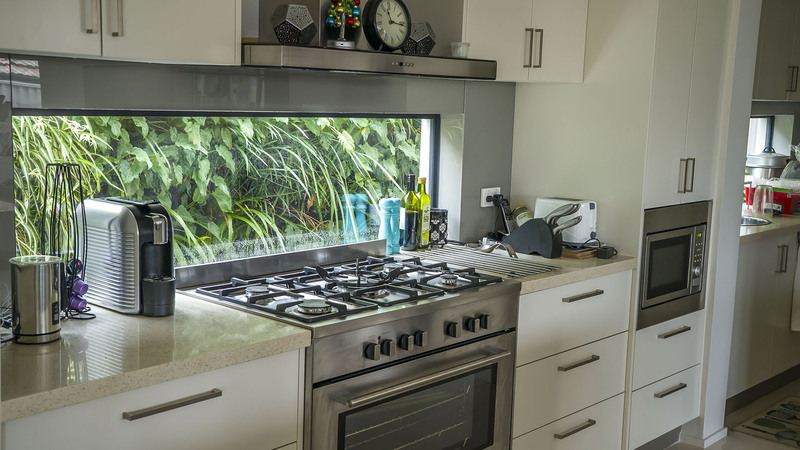 This kitchen in a newly constructed home in Sydneys northern suburbs has converted an unsightly view of the neighbouring steel Colorbond fencing into a stunning green wall vertical garden. 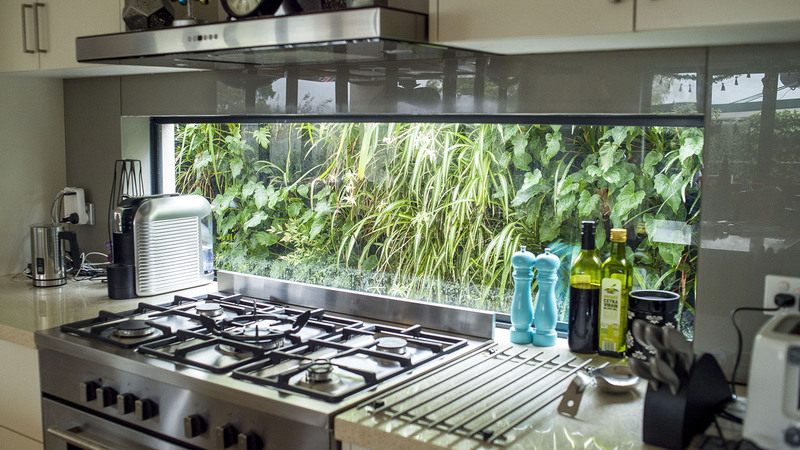 The new green wall aspect and aesthetics has greatly improved the kitchen outlook. 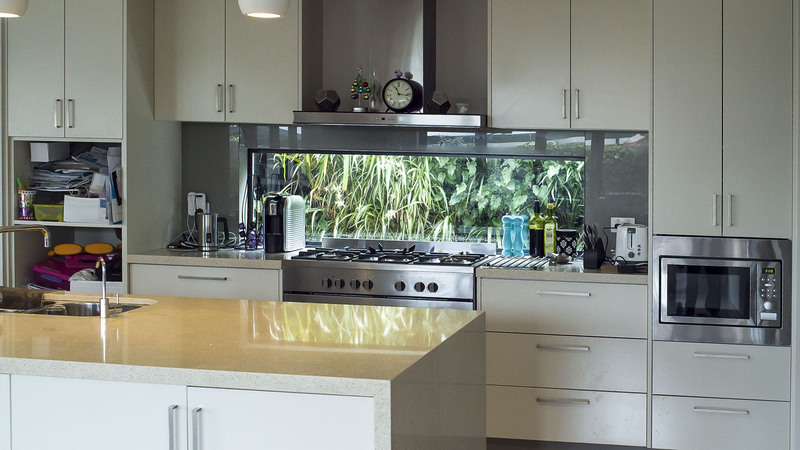 The family is happy with the results and are enjoying the new look. 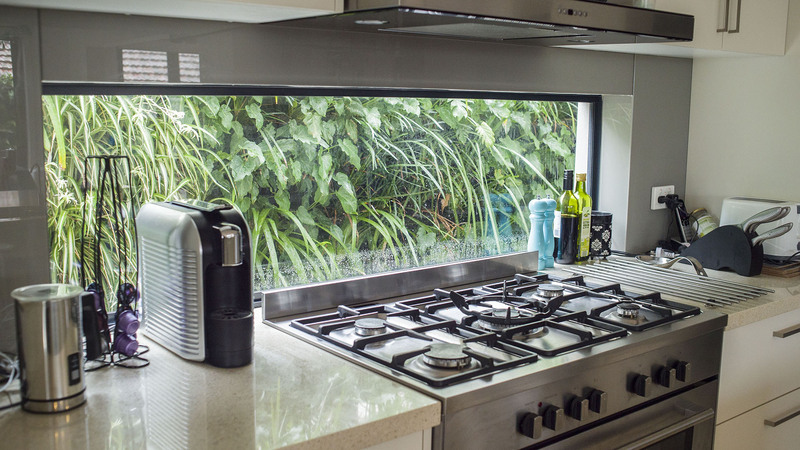 Please contact us on how we can transform your kitchen view. 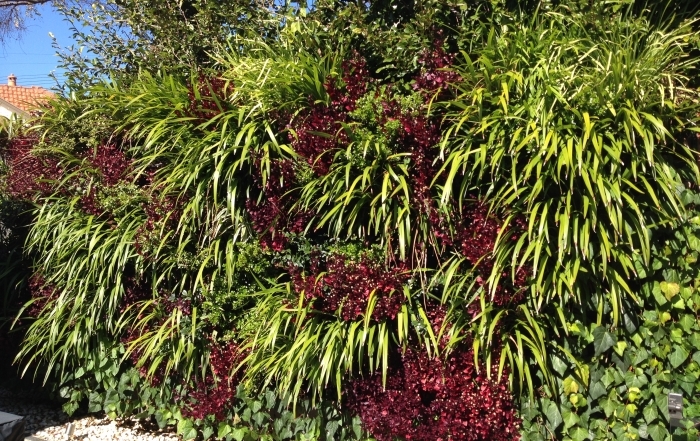 Balmoral Residence Courtyard Features Green Wall Vertical Garden. 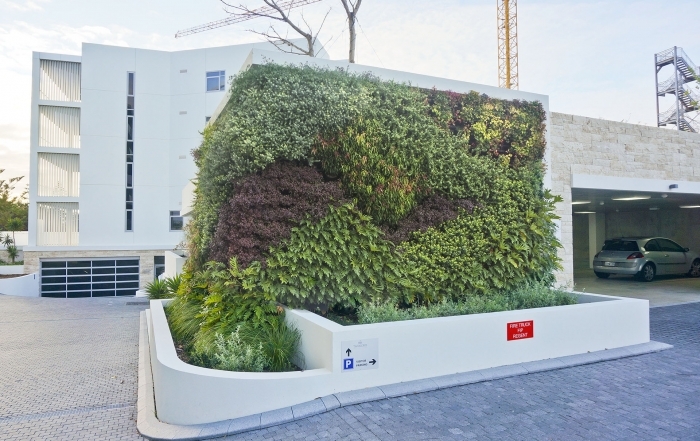 Taskers residences in Fremantle feature a beautiful green wall vertical garden on the corner of a car parking lot. 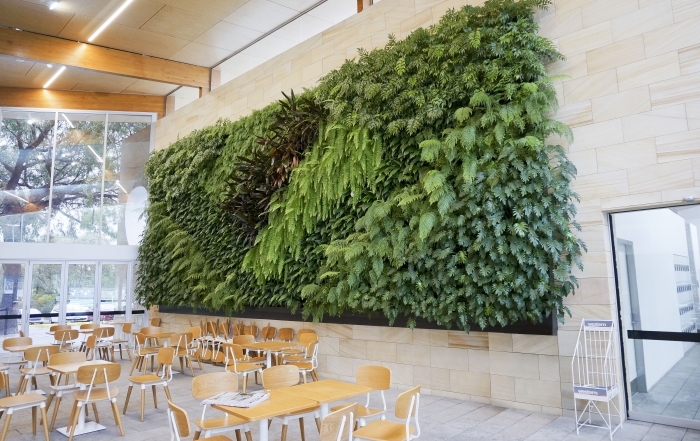 New Bold Park Aquatic Centre enjoys a beautiful vertical garden green wall. 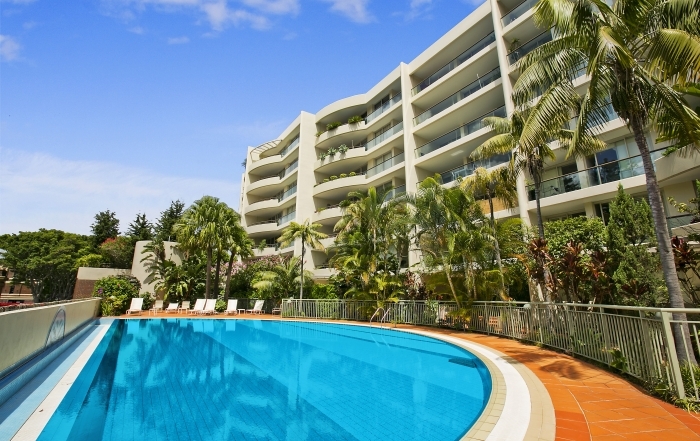 Intensive Green Roof Celebrates 20th Anniversary at Iconic Manly Beach.